Six Sigma project management is a key element in the success of a Six Sigma project. Hence how Six Sigma management is implemented is vital right from the conception stage to the later deployment and control stages. After all we are all aware of the benefits of implementing the steps in Six Sigma methodology in day-to-day processes, but if the project isnt effectively managed, then the benefits will not be realised. Worse still it will be an extremely expensive mistake to rectify! However on the positive side the integration of Six Sigma management can prove to be extremely beneficial to any organization. If a Six Sigma project is executed with the rigor of professional project management, you will not only end up with an easier task of project quality management of your product through an improved process , but you will also be sure that you do have an easier time in being able to document the project scope statement and the business requirements documentation. Moreover, you will at all times, be in better control of your Six Sigma project. 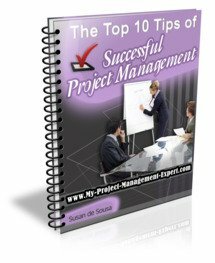 1.0 What does Six Sigma Project Management involve? Well whilst the methodology may be different, the principles of project management apply as does the ability to effectively know how to manage a project. As in all project management it is key to ensure that each stage of the Six Sigma project is tightly controlled so that there are no causes of scope creep, or overrun in project time and cost. 2.0 What are the key considerations for Six Sigma Management? The define stage of a Six Sigma project can be termed as the project initiation stage. This stage would either see a project initiation document or project charter created. Further the project manager is determined during this stage. An approval for the project initiation is acquired from the key project management stakeholders and the project sponsors. In a Six Sigma project, various activities are undertaken that fall under the planning stage of a typical project. These activities include understanding exact client requirements using the Design for Six Sigma (DFSS) approach and executing the Monte Carlo simulation for risk planning and the project risk management plan. The Markov chains are applied for improving the testing processes etc. The Measure and Analyze phases of a Six Sigma project overlap with the project execution phase. Six Sigma tools like the Design of Experiments help you decide the best possible option for implementing a solution. Six Sigma projects have the control phase wherein in measures are drafted for sustaining the improved process. At the end of the control phase, the project is finally handed over to the management and the key stakeholders, and knowledge-sharing aka lesson learned sessions are scheduled. As in any other project, Six Sigma project management involves stakeholder definition and determining the types of stakeholders. These key stakeholders will need to see the weekly project management report as well as important updates on a regular basis. It is also important that the project is delivered within certain limits stated are concerned as well as the normal project manager duties. Six Sigma methodology focuses specifically on improving quality. However, without clearly defining the constraints for scope, project budget and time, the very purpose of the Six Sigma project would be defeated. Consider an example of a process improvement project that managed to reach the required Six Sigma level of quality. However, it was observed, that it resulted in increasing the overhead for the organization by more than eighty percent than the original process was taking. This was not acceptable to the top management and the improved process was scrapped. A stringent approach to project management for Six Sigma projects is therefore extremely important. Process improvement without a formal change request process loses its appeal very quickly. Six Sigma tools for troubleshooting and defining processes should be used throughout the project management life cycle. Similarly, project management tools for monitoring, tracking, and controlling the Six Sigma project can result in a foolproof mechanism for Six Sigma management for ensuring the success of the process improvement projects. Using the DMAIC methodology as documented in define Six Sigma in conjunction with standard project management as defined by the Project Management Institute (PMI), can significantly reduce the chances of failure and redundancy.